Almost 3,000 years of history treasure the blue waters and white sands of Alicante, the city adhering to the sun, the land of rice masters, the paradise of water sports and a cultural offer that never sleeps. Dreamy corners guarantee fun in any cycle of the year, postulating the winter as an excellent season to soak up the magic of the landscapes and contrasts of the Costa Blanca. Enjoy a holiday in Alicante in the winterperiod is an advantage for the spirit and wallet. Just follow this recommendations guide to squeeze your getaway to the maximum. The sun shines more than 300 days a year for a microclimate that converts Alicante in the place of residence ideal for athletes in winter, thanks to a temperature that is around 16 degrees and not usually lower than 12. The rain is not lavish, so you will not remove the raincoat from the suitcase; Sometimes it will be enough with a half-time outfit. The Valleys Moriscos, half an hour from the coast of Alicante, are a treasure , palm trees and orchards that you can combine with another visit to the Caves of Canelobre(Busot), a surprise in the form of stalactites and stalagmites (guided tours, 3.50 and 7 euros). 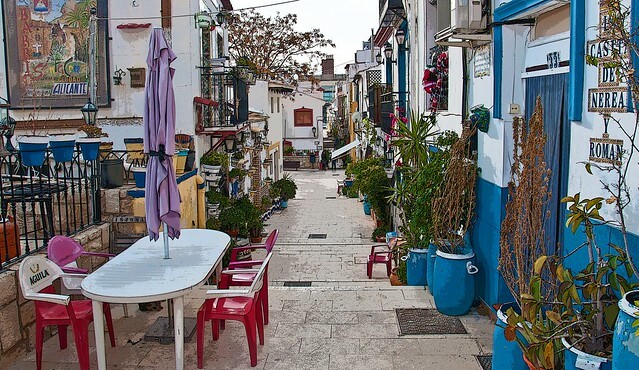 Another sight for the view is the Island of Tabarca, with 60 inhabitants and 22 kilometers from Alicante (it is reached by boat from the Marina, 19 euros free for children). Walking along the sea heals the soul, so do not forget to watch the waves of Levante (Benidorm) beach, Carrer la Mar (El Campello), La Caleta (Villajoyosa), San Juan (TRAM leaves every half hour ) And Postiguet, with the option of playing volleyball under the eyes of the Castle of Santa Barbara (free admission). If you prefer different emotions to the tranquility that walks along, join the hiking trails or the attractions of Terra Mitica or the Aitana Safari if you are traveling with your family. As well as the artisan ice-cream and the wines of the land (wine tourism wins fans).